[Moon in Office] How far can chaebol reform go? The Korea Herald is publishing a series of articles delving into the economic policies and tasks expected of the new Moon Jae-in administration. This is the sixth installment -- Ed. President Moon Jae-in’s administration was born out of an advanced presidential election, in the wake of the ousting of former President Park Geun-hye, following the worst bribery and influence-peddling scandal involving her long-time friend, presidential aides and business tycoons. His strong will for chaebol reform was shown via his Wednesday pick of Kim Sang-jo, the “chaebol sniper,” as the nominee for the chairman of the anti-trust watchdog Fair Trade Commission. Experts said the new government is likely to implement President Moon’s pledges on chaebol reform but how detailed his policies will be still remains to be seen. Moon’s pledges on chaebol reform are on two tracks -- one is to improve the corporate governance at conglomerates and the other is to decentralize their industrial power in the economy. Improving the corporate governance includes limiting their industrial capital from engaging in financial businesses and introducing a cumulative voting system for minority shareholders. Such policies need a revision in the Commercial Law through a parliamentary agreement. The other goal of curbing the power concentration of chaebol includes an enhanced FTC role in monitoring the big four business groups -- Samsung, Hyundai Motor, SK and LG. Sung Tae-yoon, economics professor at Yonsei University, said Moon’s pledges lack detail in targeting the four major groups. “Targeting the largest four conglomerates, as promised both by Moon and the FTC nominee Kim, is one of the tools to spread out their concentrated power in the economy. But it is unclear how that will help innovative SMEs exert their full potential in the market and grow,” Sung told The Korea Herald. 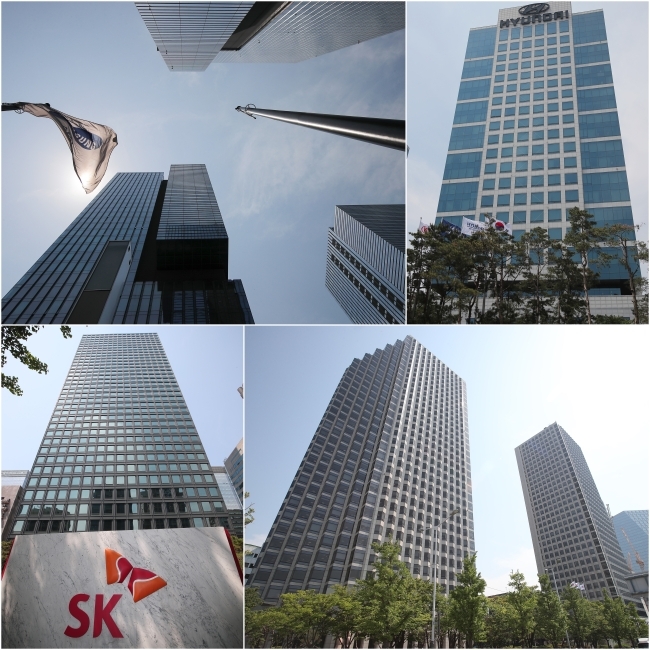 Chung Sung-yup, chief analyst at Daeshin Corproate Governance Institute, said conditions are ripe for chaebol reform in terms of corporate governance under the current administration, more than ever. “Now, there is a social consensus and demand for better corporate governance. Moon’s vow to strictly separate industrial capital from financial capital, for example, will be gradually implemented, if not urgently,” Chung said. As for separating industrial and financial capital to prevent chaebol from using a bank or an insurer as a private coffer, FTC chief nominee Kim declined to elaborate, but said the FTC would seek cooperation with the Financial Services Commission, the Ministry of Justice and the Prime Minister’s Office to achieve such goal. “Moon’s vow on separating industrial and financial capital seems to target Samsung. The government might push a law revision to limit Samsung Life Insurance’s stake holding of Samsung Electronics,” Chung said. Yoon Tae-ho, analyst at Korea Investment & Securities, noted in a report that the new government is also likely to push the National Pension Service’s adoption of a stewardship code, or a new scheme to make the pension fund’s exercising of voting rights more transparent. In early May, the NPS has opened a bid for research work on how its adoption of a stewardship code would impact the market and the work is expected to take at least five months, NPS spokesperson Ji Young-hye said. Yoon noted that Hyundai Motor, which is bound by all chaebol issues including cross-shareholdings, financial-industrial capital separation, funneling contracts to affiliates and managerial power transfer, will be under stronger pressure to improve governance. “Rather than Hyundai’s voluntary needs, changes in external conditions such as laws and regulations will prompt the group’s restructuring of corporate governance,” Yoon said.